It's possible for the device to boot in such a manner that the network-indicator doesn't display an icon on the top panel ( see attached screenshot ). This version of ofono fixes a couple of bugs, the most important being a regression on krillin where the 2nd SIM isn't always recognized on boot. My testing was performed using two SIMs, with the 2nd SIM being PIN-locked. In the case of the missing icon, no PIN unlock screen was displayed after booting. I checked and urfkilld is running on the system. I also verified that there were no crash files present on the system. I also checked and there was nothing relevant in syslog. This bug is hard to reproduce as well. I've hit it 4 or 5 times out of a total of maybe 45-50 reboots. Forgot to add, when I run ofono's list-modems script, things look normal, the first SIM is powered, and registered to the network, the second SIM ( ril_1 ) is PIN locked. I just hit this a second time, and again no indicator-network.log file is present. 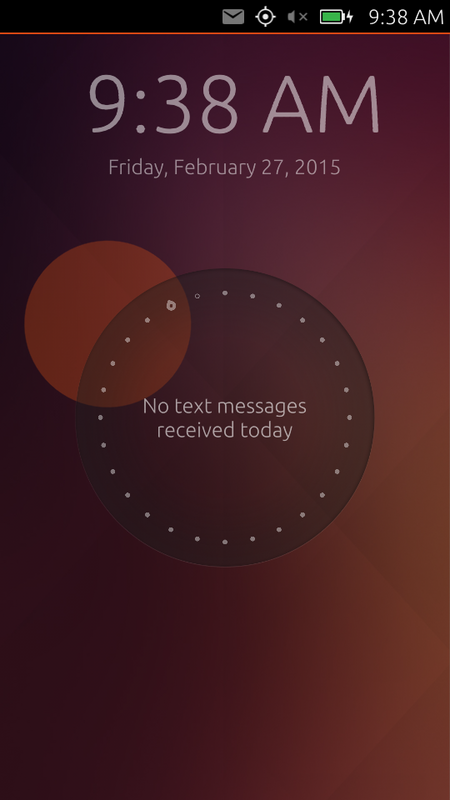 Note, I just hit another related problem where the phone booted and the automatic PIN-unlock dialog wasn't displayed. This is the first time I've hit this in maybe 75 boots. Also, during the same round of testing I reported bug #1426876, which describes how the user can enter a PIN on the SIM unlock screen and have it not take effect. This occurs more frequently than the problem described by this bug. I just lowered the Importance to High, as it's extremely hard to reproduce this bug. I've hit it 3 or 4 times out of 100 reboots. That said, if it's possible to identify the conditions in which the indicator can start, but not display any panel icons, the indicator should be re-factored to never do this. The cellular modem is a dynamic complex pieces of hardware and the indicator needs to be tolerant of what may seem to be invalid states which may exist temporarily. I've started my mako and found this problem: no network indicator is shown. syslog attached. No indicator-network.log in ~/.cache/upstart (just gzipped files from previous runs). indicator-network-service was running and there was no crash file for it. Restarting indicator-network made the indicator appear. krillin with two SIMs, the first PIN-locked. Testing consisted of just hammering on the FlightMode switch. To be fully usable, this requires unlocking SIM1 every time FM is disabled. That said, sometimes I just hammered on the FM switch without unlocking the SIM. At some point, the same thing that happened to Alfonso happened to me, the indicator quite displaying an icon for either SIM. The process is still running and as is his case, there's no crash file. I'll attach the upstart indicator-network.log file. Also as with Alfonso, a 'restart indicator-network' restores the icons. Log file from when cell icons disappeared from the panel. Inserted a SIM and rebooted after flash of the above. After boot network indicator showed a wifi connection, but no cellular connection. On the menu the cellular showed "Offline". Examing ofono list-modems showed ril_0 as online. Issued a "restart network-indicator" and the state then showed the cellular connection correctly. Your description doesn't match this bug. It has to do with an absence of *any* network icons on the panel, not an incorrect icon. I would suggest opening a new bug. @Tony, have you seen this one crop up post-April?